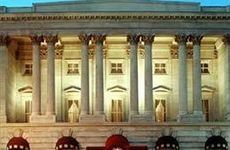 Find Kimpton Hotel Monaco Washington DC deals, discounts and special offers. Smoke-free, 737-room Marriott near White House has large convention facilities, wireless and HDTV. An historic hotel at Dupont Circle, the Renaissance Mayflower is pet friendly, smoke-free and has a fitness center. The only hotel located on the Georgetown University campus, 146-room hotel is under new management; offers wifi. Across from the Convention Center, smoke-free Renaissance has 807 rooms & suites and is energy-efficient. The 451-room smoke-free Marriott, adjacent to the Metro subway, is near the Verizon & Convention Centers. Located blocks from the United States Capital, this Hyatt features a health club and extensive business amenities. Located on 16 park-like acres, the historic smoke-free Marriott has over 1300 rooms, and a seasonal outdoor pool. Situated two blocks from the White House, the Capital Hilton also houses the Capital City Club and Spa. On 11 acres of N.W. Rock Creek Park, the 834 room historic Omni Shoreham has internet, park views, & is near the Zoo. Located on 7 acres of parkland a quarter-mile from DuPont Circle, this Hilton offers tennis, pool and a fitness center. This Westin has multi-linqual staff, Internet and a courtyard, all within walking distance to Embassy Row & Georgetown. This recently-renovated 300 room Ritz Carlton is within walking distance to Foggy Bottom & Georgetown. Located near shops, restaurants & history in Georgetown, the 86-room Ritz Carlton is an historic site along the Potomac. Situated in Penn Quarter, near the US Capital, this 888-room hotel's rooms have views of the city and lagoon. Newly-renovated, the 470-room Marriott at Dupont Circle is smoke-free, has WiFi, HDTV & parking.